Growing up with a big-time hippy for a mom, I'm very familiar with quartz crystals. She had them spread all around the house. At the time, I couldn't get into the idea behind them, but now looking back I do think they had a calming effect on our household. 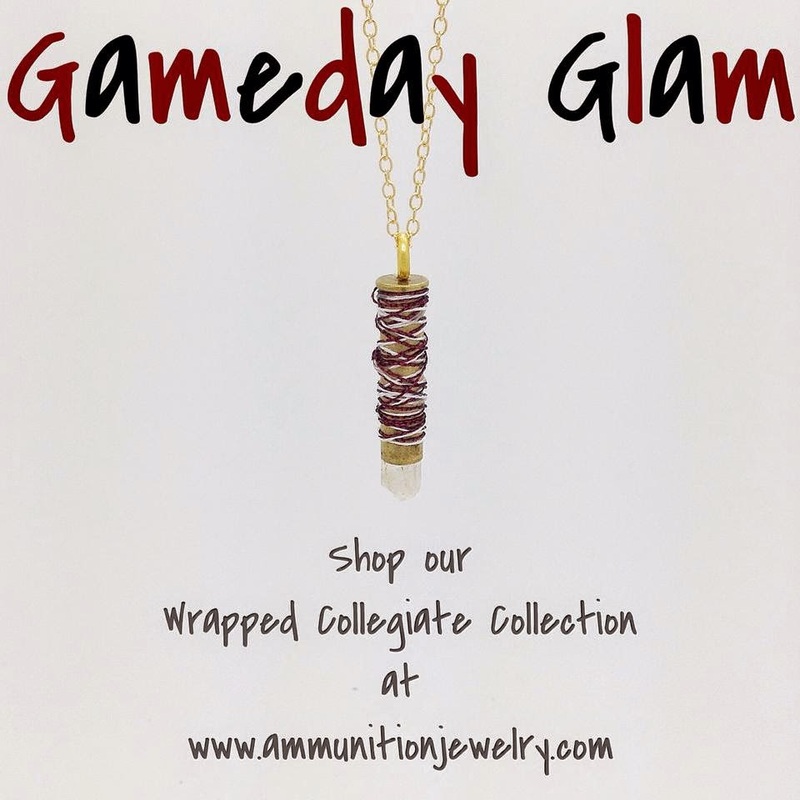 But you guys aren't here to read about my childhood....let's talk gameday jewelry! Apple and Jayme are the team behind Ammunition Jewelry. (We share a love for Mi Cocina.) They are two Texas Aggies, living in LA, creating unique bullet encased necklaces. 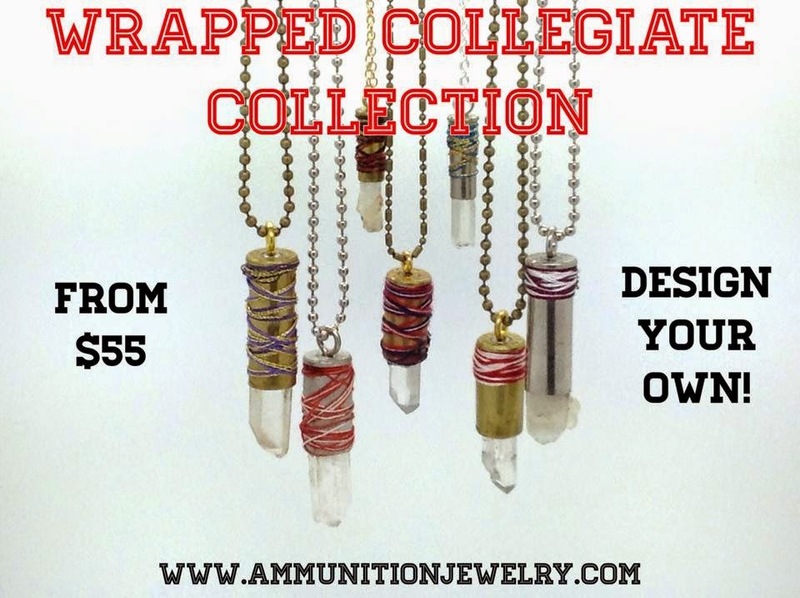 The necklaces are created with recycled bullet shells and raw gemstones. What's even better, is that a portion of each online purchase is donated to Wounded Warrior Project. Very cool!